Google never fails to give a yummy name to its Android operating systems. In the past, Google has named its mobile OS versions with several desserts inspired names such as Gingerbread, Ice Cream Sandwich, KitKat, Marshmallow, and Oreo. This time Google came up with a new yummy name called ‘Pie’! 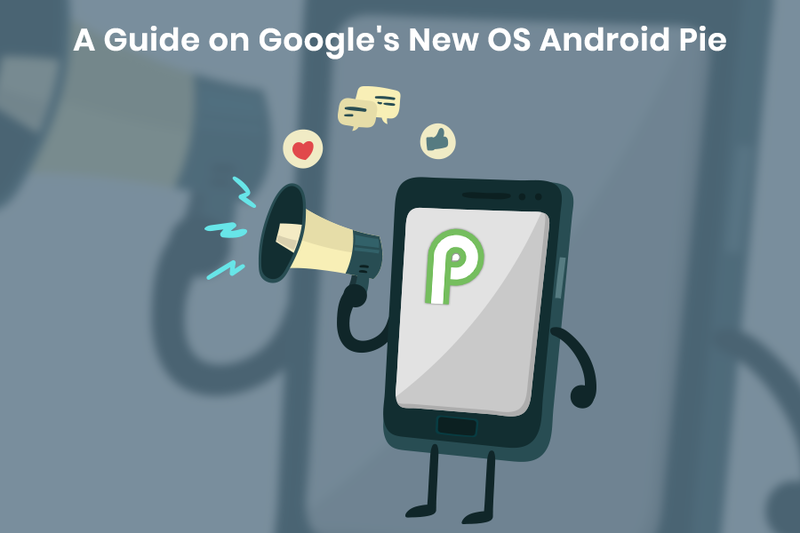 Yes, back in March, Google commenced a release to the latest Android version which later came to be known as Google Android 9 Pie. Extended battery life is one thing that Android 9 Pie aims for every Android phone. With every release of latest OS version, users keep their eye on battery longevity to get the best out of it. Fulfilling their wishes, Android 9 Pie will use smart AI power to identify all the apps of your smartphone that are using rarely. The battery usage of such apps will be limited automatically without you having to take an effort for this. Android 9 Pie will use Artificial Intelligence to track your brightness setting patterns. That means it will identify how you set the brightness of your smartphone under particular lighting conditions. It will then automatically adjust the brightness on your behalf according to your preference. As compared to the earlier OS version that has three navigation keys including home, return and app switch, Android 9 Pie will come with a pill-shaped button for navigation. And gesture control along with a return key on the left-hand side. The pill-shaped button will allow opening app drawer by swiping up and switch between the apps by swiping left or right. In the earlier version of the OS, the volume adjustment panel used to show up on the top of the screen. Android Pie has made a considerable change in this. With the following Android OS version, there will be a volume slider seen at the right-hand side of the screen. An icon will be displayed at the top of the slider to put the phone on vibrate or turn off all notifications. At the bottom of the slider, there will be a settings option from where users can adjustments for ringer, call, media and alarm volume. All the previous Android OS versions gave a preview of message notification using text only. But now with the upcoming Android 9 version, users will be able to preview image notifications as well for their messages. This feature of Android 9 Pie is interesting. The OS with the help of AI will learn different app usage patterns of the user. That is to say, at what time the user uses that app and what actions are performed pertaining to that app. These predictions will use to make suggestions using action cards. An app drawer will open up below the search bar with a list of favorite apps along with action cards to suggest users what to do next based on their previous actions. Display notches have been quite a big thing from quite some time. Google now officially supports screen cutout options. So that developers can make apps that respond well to these screens without much a glitch. The options available are narrow display cutout, tall display cutout, and wide display cutout. Apart from the ones mentioning here, there are several other features including in the Google’s Android 9 Pie. It seems Google has come up with an OS that is as delightful as its name ‘Android Pie’! Newer Why You Need an MVP for Your Mobile Application?